Admission to a hospital occurs in various ways. Treatment that begins in the ER may require additional treatment that causes a patient to be unexpectedly admitted to the hospital. At other times, patients know they will be admitted. The admissions process begins by meeting with admission personnel who gather preliminary information. During the orientation process, the hospital admissions kit is supplied. The contents of a hospital admissions kit are items that outfit a recently-admitted patient in a hospital. The items are things commonly forgotten by patients that know before entering the hospital they will be admitted, or items needed by patients assigned a room after seeking medical treatment. The kit accommodates the patient's needs for overnight or post-surgical stays in the hospital. It is intended to make patients feel as comfortable and prepared as possible when they arrive in their hospital room. Personal hygiene issues can be addressed without having to ask the hospital staff for forgotten or needed supplies. Convenience Kit International manufacturers the pre-packed kits that come with the assortment of travel size products from well-known and trusted brands such as Fresh Scent and Colgate. The company has consistently delivered high-quality products that have gained for them a respectable position in the industry. Patients are not the only benefactors of the admission kits. Advantages of the hospital admission kits are providing comfort to the patient, convenience for the staff, and cost-effective solutions for hospitals. The kits streamline the admissions process. Quality care includes making the admission process as fast and accurate as possible. Planned admissions are for such things as special procedures, tests, or elective, non-emergency surgery. 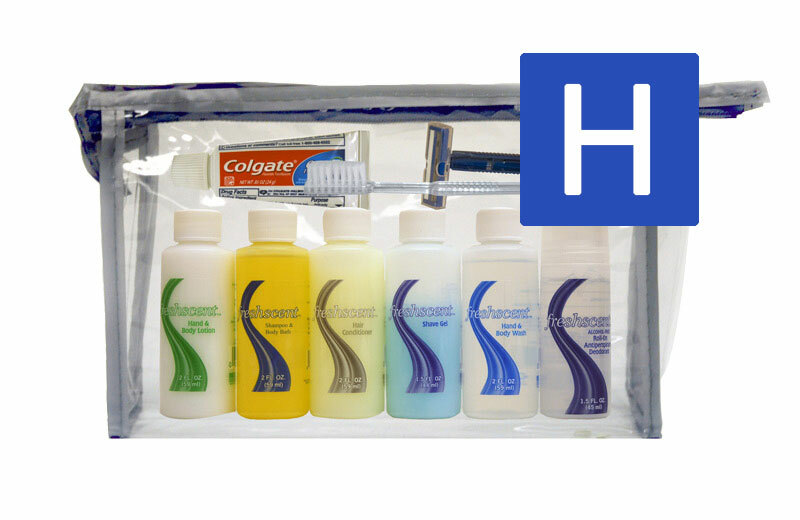 Patients that know about the hospital admission kits can pack lightly for their hospital stay. The items in the kits are disposable and can be thrown away before returning home. Whether the hospital stay is planned or an emergency, the admission is frequently the first of a series of transitions or moves. If patients are moved from one area to another, it is recommended to keep the admission package close. While the kit contains the toiletries the patient needs, he or she should remember hearing aids, dentures, contacts and glasses. Other items to pack when the admission is expected include a favourite pillow, pajamas, slippers, and a robe. Books, magazines, snacks, and a newspaper can also make the stay more enjoyable. Cell phones and chargers are also a good idea if allowed by the hospital. Items that should not be taken along are medications not requested by a doctor and valuables such as jewellery and wallets. Medical equipment used at home, hair dryers, and electric razors may cause a problem when used in proximity to hospital equipment.